I planned to write this post for a long time. The post is long and it provides detailed instructions on solving any kind of problems. Surprisingly, when it comes to solving problems, the same algorithm works for everything. I came to this algorithm after 15 years of being a software developer, a manager for my own company projects, a family man and a dad. It is not importatnt where the problem is as soon as you folloe the algorithm. You can solve the problem with it, if it is solvable according to laws of the nature and means you have under hand. The algorithm consists from six steps. Let's begin. This may sound dumb but this is where the failures start. How much time did you say to yourself: "Oh, it is not a proble!m" only to regret later that you did not address it in the beginning? Son has bad marks in school? Ah, well, he will recover. Customer complains? Ah, well, they always find something to complain about. Sorry, it does not work. Listen to your instincts. If they say, you might have a problem, than most likely you have it. The cost of solving the problem increases with time. The later you realize you have the problem, the more effort you have to make to solve it. The more you delay, the more you loose. So, the very first step to solve the problem is to realize that it exists. Be honest with yourself and say it to yourself: "I have a problem to solve". With that you are closer to solving the problem than you was before. This helps you to commit to solving the problem. This is a different step. If you realize that you have a problem, it does not mean you realize what the problem is. Your son is getting bad marks? Is that a problem? Most people will say "yes" and be wrong here. Getting bad marks is not a problem, it is a result, an outcome of the problem. This is why it is important to realize what the problem is. Uncovering the real problem could be difficult but this is the time when you should not rush. If you rush now, you may end up solving an imagined problem, not a real one. Really, bad marks - what else could be a problem? Well, tons of them. It can be bad relations with classmates or teachers, wrong course, even medical issues! You must invest time to understand the root, the cause of the problem! If your head aches, you would not chop it, right? For the first time you may take a medicine to ease the pain but if the pain returns, you go to see the doctor. Same with any other problem: get to the root of it, see if your "problem" is not a sympthom of something deeper. This is what most people never do. That just catch the first idea that comes to their mind and go for it. This rarely works satisfactory. The first solution is almost never good. Therefore for years I nver take the first thing that comes to my mind as a solution. I know that there always exists a better solution. It only ta,es time to get it. Cool down. Stop. Don't rush again. Think! Depending on the complexity of the problem and your familiarity with the topic it may take from minutes to months to discover the solution. Months is extreme, of course. Usually it does not take that long. For technical issues I take about 3-4 hours to do something else while putting the problem somewhere to the back of my mind (I imagine it like an old closet of 18th century with many small doors where I can put the problem to "cook" for a while). For something related to kids I usually must sleep ovErnight to Find a decision. It really works. Everytime when I find a better solution, I am surprised how better it it than the first idea that came to my mind. May be this is why my work is usually good: I take time to think about it while doing other tasks. It does work! Yup, this is another thing very few people do. You do not have to write a detailed plan on a roll of paper or in the spreadsheet. Well, you can, if you want or if the problem is complex and sution is lengthy, but a menthal plan do in most cases. The reason for having a plan is simple: You must know what to do exactky to solve the problem and in what sequence. Chaos is not your way, believe me. Only now, when you are clear about the problem, solution and plan, you can go and execute your plan. Remember, that there are no plans without flaws. Even brilliant plans have flaws. So be able to readjust dynamically by temporary going back as many steps as you need. This may sound complicated and time consuming but it is not. When you become used to this algorithm, you will discover to your amazement that you can do it automatically. It is simplicy practice. It is a good thing to make a wrap-up after the problem is solved. I rarely write down what the problem was and what I did to solve it (right and wrong) but if you can write it down in a personal diary, it would be good. You can come to it later if necessary. Why don't I do it? Well, I do not like to write on paper and I could not find a good app for that. At least, I do a quick analysis afterwards and try to see what I did well and what I did badly. That helps to avoid the same mistakes later. What do you think of this? Does that sound like a good algorithm to you? I you have anything to add, please, write in in comments. P.S. No, my son does not have bad marks :) It was just a common example. I am transferring all my domains from GoDaddy to protest against their SOPA support. This means my blog may become unavailable for a short time in the coming days until the domain name is fully visible with a new registar. In case, if you cannot see this blog, do not panic. It will be back online. Apple ships Macbooks with drives without a region set. However, before you watch the movie, you have to set a region. Later you can change it but not more then four times. The solution is to this problem is to flash your DVD drive with a modified "RPC-1" firmware. The risks are as usual: anything can grow wrong, you can brick your drive, warranty is under question, etc. So don't do that unless you are ready to take the risk. There are lots of instructions on the web how to make it. For my drive, Google leads me to two pages: one and two. They are all ok except that they require a Matshita Flasher application, which does not work in Lion (PPC applications are not supported). However, this application is only a wrapper around the real flasher, so you can flash your Macbook under Lion too. Notice: I did not tell you to do it! I am just providing the information. There is an ongoing discussion on the Internet about troubles with iPhone 4S battery and iOS 5. Many users got decreased battery life with iOS 5. While it is definitely a problem in the firmware, there are ways that can help you increase battery life of any Apple device. I am talking Apple here because I used that for every Apple device I owned. Apple designs batteries themselves and all batteries I had, were made by a single manufacturer. So other devices may need a different way to extend battery life. When I got a new iPhone 4S, it came with iOS 5.0. I upgraded to iOS 5.0.1. The phone did not survie a day of charge. Now it survives 3 days with using e-mail, twitter, facebook + location services. How did I do that? Frech IT company named Atos (74,000 employees) will completely ban all internal e-mails in 1.5 years. Its CEO, Tony Breton, said that an average employee gets about 200 e-mails daily. Of them, about 18% are spam and only 10% are useful. They already reduced e-mail traffic by 20% and happy with results. Atos management says that employees will continue to communicate using instant messaging and Facebook-like posts. Atos made a step towards better efficiency in business communication. This is a great and clever decision. I agree that e-mail channels often become a major distraction way. While it is possible to filter out spam effectively with relatively simple measures, other e-mail message often remain inefficient. Many mails come with extra words, long disclaimers, polite but needless "how are you"s, etc. I believe that business correspondence should be strictly about business. This position may seem extreme to some readers. We all know that business often grows due to personal relations. But it is a good thing to separate personal and business when you want to talk about tasks. 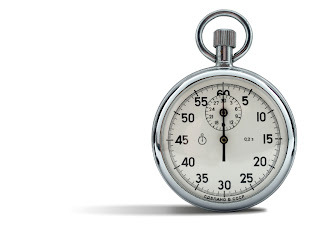 Time is extremely valuable, so loosing it for inefficient e-mails is not a good thing. If it is a business e-mail, it is about business, so let's get straight to business without personal stuff. Personal stuff is ok in personal e-mails but if person A needs person B to do something, just ask for it. The clearer A does it, the more chances that he will get it. for our XYZ customer, we have a new request to extend RealURL. It sounds quite simply. Could you please check if this is possible an how much effort it takes you to do the changes with RealURL? Quite often I hear an opinion that tools do not matter. If the person is good at his work, he will do it well with any tools. Well, this is both true and false. When I was in school, I went to a photography class after official lessons. It was not like a school class, it was more like a community of pupil with an adult teaching us how to make photos. He owned a very good camera (6x6 cm) and we all complained that he can do good photos with his good equipment, while we can't do it with our cheap cameras. Once he became annoyed by our complaints and took us to the outside for a three hour training in the forst. We were to photograph freely what we see and like. Some went do their work alone, our followed our teacher trying to make the same photos as he did. He gave everybody the cheapest possible camera (we had a stock of them in the class) and took one of them too. Update (Oct 23, 2010): readers posted a lot of valuable comments to this article. Make sure you read them at the bottom of this page. Some time ago I wrote an article about recreating a Lion recovery partition. The way described in hat article was very technical, complicated and risky. While any way of adjusting partitions is risky, I found a safer way to recreate recovery partition after my Mac crashed again (looks like its life time is coming to an end). Here is how I did it the second time. Update (Oct 23, 2010): while this article still provides a working way to (re)create the recovery partition, I now recommend a simpler way. But if you decide to go with the way described here, make sure you read comments too! This article was written by extracting shell commands from a list of many successful and unsuccessful commands. Therefore there are some mismatches in numbers in this article. However the workflow is correct. If you use this article, you should carefully calculate your own numbers. But really, use the other way. It is easier and less risky. Recently my old (42 months) Macbook Pro had a problem and I had to restore it completely from the Apple Time Machine backup. This Macbook is my primary instrument, so I do everything to keep its information safe and alive. As a part of being "safe", I always encrypt my hard drive. Before Lion I used PGP Whole Disk Encryption. It was a bad experience (2x slower, troubles after each OS X update, etc) but it worked. With Lion I happily threw away PGP without being sorry at all and encrypted my hard disk with new shiny FileVault2. FileVault2 also encrypts the whole disk and requires a pre-boot authentication to unlock the drive. Information cannot be recovered without a proper password. After recent crash and recovery from a Time Machine, I went to encrypt my drive again. But now Lion showed me a message that my disk cannot be encrypted because it does not meet the requirements for FileVault2. I knew what was the problem. FileVault2 requires a hidden "recovery" partition that Apple creates on the disk. It seems like I did not have that. Searching the Internet revealed that if I install a clean system, recovery partition is silently created. However, if I restore from a Time Machine Backup, it is not created. This is bad news. I need FileVault2. So I have to make that recovery partition in some way.